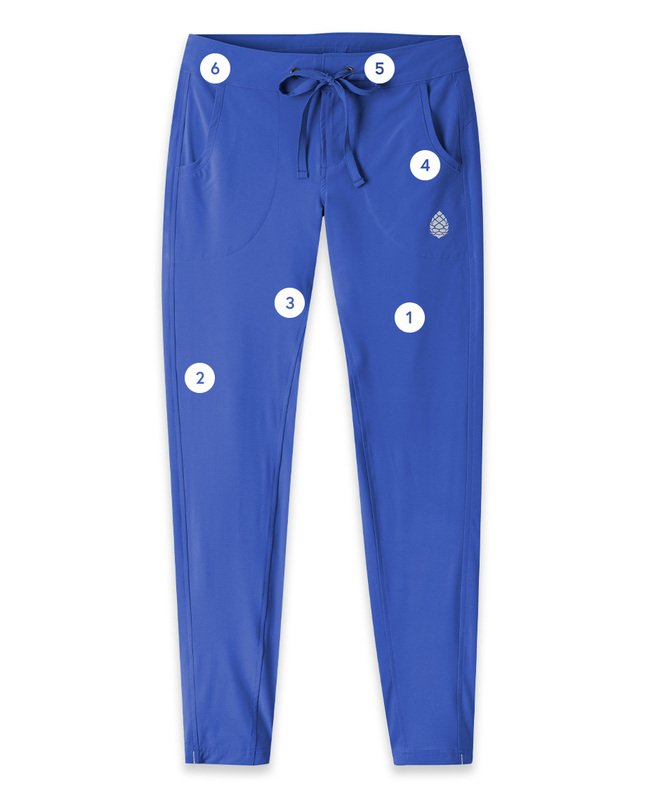 Built with Sphero™ HO stretch poplin, this pant adaptably wicks moisture, stretches, breathes and dries quickly. Designed with sleek, fitted lines, the CFS is intended to get you from sun-up to sun-down comfortably. A modern straight-leg style and gusseted crotch offer ease of movement and a hidden bungee at the cuff allows you to customize length. The measurements on our size charts refer to body measurements, not garment measurements. Sleeve 28.5" 29.5" 30.5" 31.5" 32.5"
Sunrise SUP on the lake, work, PTA meeting—it takes a special woman to keep up with mountain life, and it takes a special pair of pants to keep up with her. Our CFS Pant walks the walk. Created with Sphero™ HO stretch poplin, this pant adaptably wicks moisture, stretches, breathes, and dries quickly. Designed with sleek, fitted lines, the CFS Pant is intended to get you from dawn to dusk with comfort, with added UPF 50+ provides these pants also provide excellent protection from the sun. A modern straight-leg style and gusseted crotch for ease of movement make these pants as at home on any rock face as they are in the office. Sphero™ HO is a plainweave poplin with a unique polyester and high spandex for the best in four-way stretch comfort. Made from extremely durable fibers, this sturdy fabric maintains its shape through the push and pull of strenuous activity, while it's hydrophobic fibers allows it to dry quickly. For more information about fit and sizing, visit our fit guide information page here. A versatile mountain water pant for rivers, lakes and dry-land adventures.